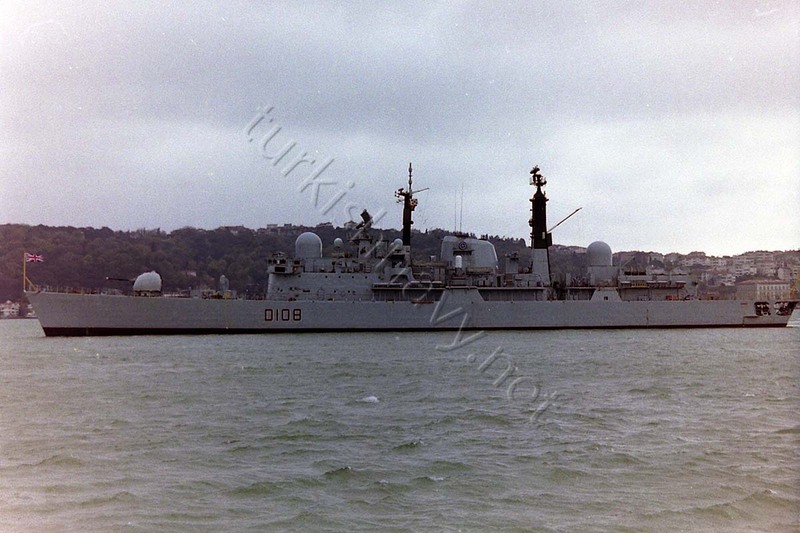 HMS Cardiff during her visit to Istanbul on 23rd November 1998. Note the added Mk 15 Phalanx CIWS systems installed after The Falkland War. Ironically her final destination was a scrapyard in Turkey in 2005.